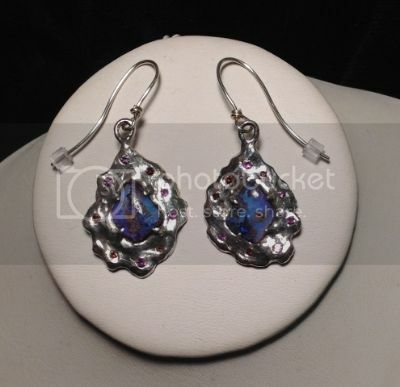 These opal cinnamon diamond and purple sapphires and amethyst earrings were made for Barb Moermond. The small stone color choices and design location were really complex decisions. I'll be carving waxes a lot over the holidays (although _ not_ on the holidays). Best wishes to everyone for the season.